Maharashtra is a state which is a Gem in crown of India. Your Maharashtra Culture and Spiritual Tour will bring an amazing experience of visit to some of the best destinations. Mumbai house of bollywood where millions of people come every day to try their luck, Shirdi and Nasik are among religious centres and Ajanta & Ellora will amaze you with their most amazing artistic creativity. On the arrival at Chhatrapati Shivaji International Airport, you will be welcomed by our representative and further transport to the hotel. Mumbai is one of the world famous metropolitan cities and everyone in the region can enjoy life in a very refreshing mood in their own style. Travel in and around the city and make the moment an adorable experience. After breakfast, get ready for Mumbai Sightseeing. On the second day you will enjoy an excursion to Elephanta Caves. 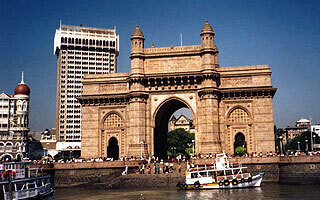 First you will visit the Gateway of India which is one of the historical monuments. From here you will board into motorboat to drive towards the Elephanta Caves. Rock-cut Caves is located on a top of picturesque hill. Beautifully constructed 100 steps will lead you to the mesmerizing caves. When you enter the caves you will be delighted by the incredible sculptures. The sculptured consists of Lord Shiva. Explore the unique features of the Caves. Back to the shore by boating and enjoy lunch around the restaurants located close to the Gateway of India streets. After lunch you will take for sightseeing again. After breakfast, check-out from the hotel and drive towards Nasik. On the arrival at Nasik, check-in to the hotel and in the evening you will take for sightseeing. 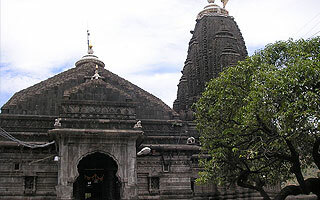 Nasik is a unique location where you can explore the religious and spiritual values of nation as well as the modern lifestyle. Explore the destination and make the moment unforgettable part of your lovely vacation. After breakfast, check-out from the hotel and drive towards Shirdi. En-route you will explore Trimbakeshwar. Famous Trimbakeshwar is situated at a drive of 30 kilometres from Nasik town. The Trimbakeshwar temple is one of the religious places of worship and the site is the source of religious Godavari River. You will get a chance to participate in Darshan and to offer prayer continue your ride to Shirdi. Shirdi is a small highly religious town in Ahnednagar district of India state of Maharashtra and one of the most famous tourist destinations. In early morning of your fifth day, you will go for morning Aarti at Sai Baba. After Aarti, you will back to the hotel and enjoy breakfast. Check-out from the hotel and drive to Aurangabad. En-route you will visit Shanisinghnapur. 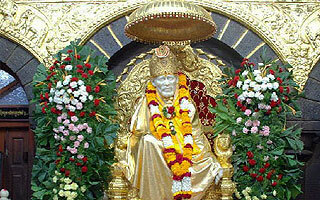 Shanisinghnapur is a religious town situated at a distance of 70 kilometres from Shirdi. Thousands of Hindu devotees visit the place to offer prayer so that they can attain a blissful life. In the region you will visit religious sites and attend some ritual prayers. On the arrival at Aurangabad, check-in to the hotel and relax for some moments. After breakfast, get ready for an excursion to Ajanta. Ajanta Caves – is famous UNESCO World Heritage Site and one of the famous historical sites in entire India. Architectural designs and sculptures of the caves grab the attention of tourists. The hidden location was discovered by a group of British officers during the 19th Century. The caves are rock-cut and located in the lap of the Sahyadri hills. Every nook and corner of caves signifies the story of Buddhism. Everything here you will witness are constructed during the period of 200 B.C. to 650 A.D. Visit each cave and discover why these caves are famous worldwide. After breakfast, get ready to visit Ellora and Shirdi. 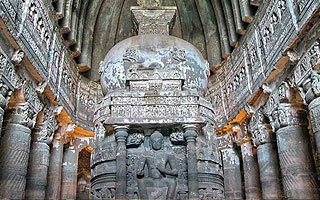 Ellora Caves are world famous historical rock-cut caves. Monuments are constructed between the periods 600-1000 A.D. It houses elegantly carved 34 monasteries and other temples. Religious temples of Ellora are devoted to Buddhism, Jainism and Brahmanism. Stone works in the caves are elegantly carved and surely magnetize your attention. You will discover numerous sculptures of Lord Shiva. After breakfast, check-out from the hotel. Here your tour end; now you will drop to airport by our tour representative to take the flight and fly towards Mumbai. From Mumbai you will fly towards your home sweet home. Return back to your home with tone of memories. Any portage at Railway Station, hotels or airport, tips, insurance, telephone charges, and all items of personal nature	.